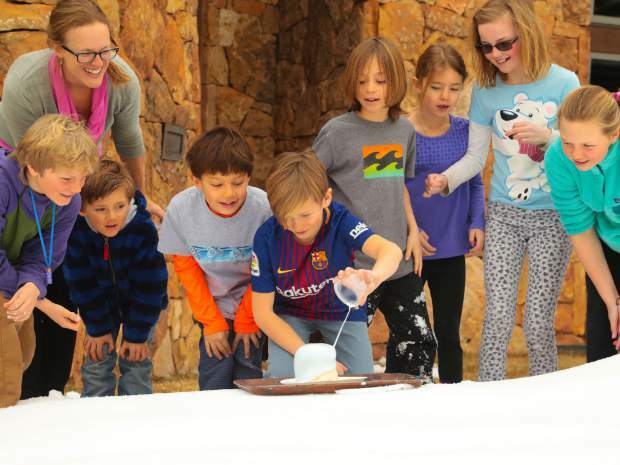 A simple baking soda and vinegar chemical reaction helped give life to the Lower Schoolers’ study of plate tectonics, subduction, and volcanic activity around the Pacific Ocean. 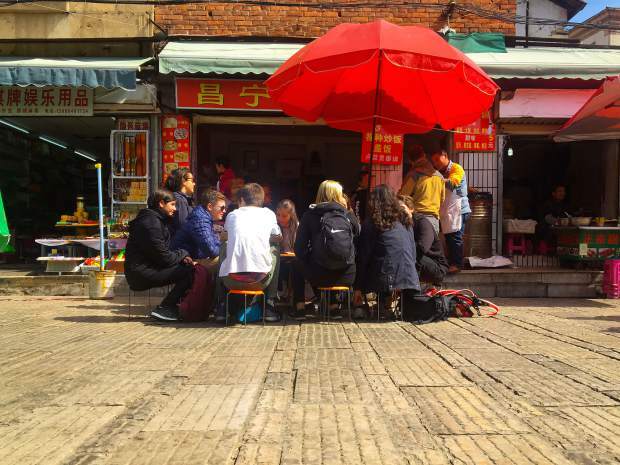 VMS world language students that have studied Mandarin explored the Yunnan province in China over the course of ten days. 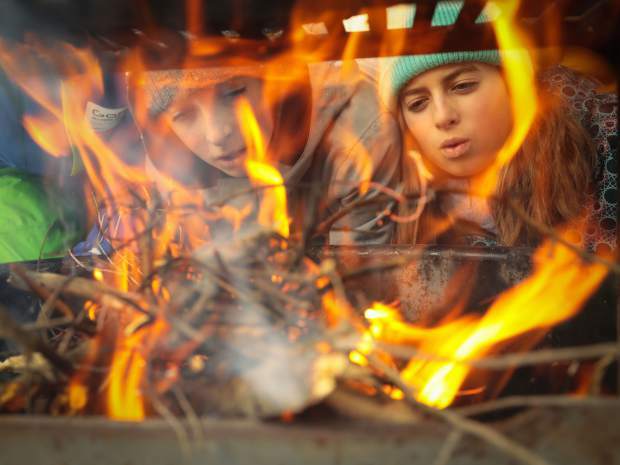 A group of Middle School students ventured to East Vail’s snow covered Gore Creek Campground to learn wilderness survival skills like building fires and making simple shelters to survive a night stranded in the winter wilderness. 3000 miles from home, VMS Upper School students learned about the culture and traditions of Hawaii. 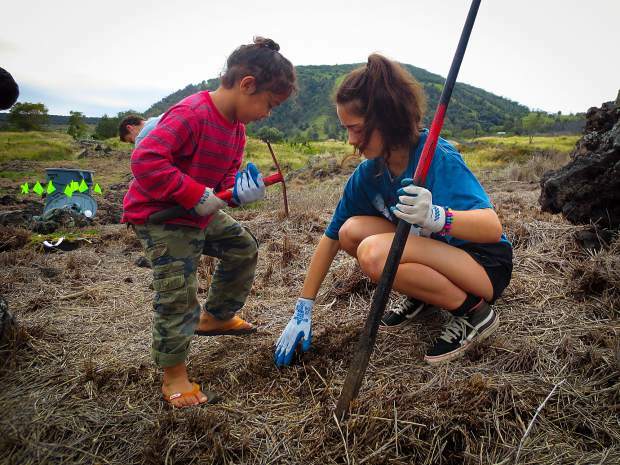 Service work played an import role in this Intraterm course and included this planting project in which the group planted 175 native and endangered species of plants and trees in the Puʻu Waʻawaʻa Forest Reserve. Lower School students learned about oceans through interdisciplinary explorations of topics related to our planets seas. 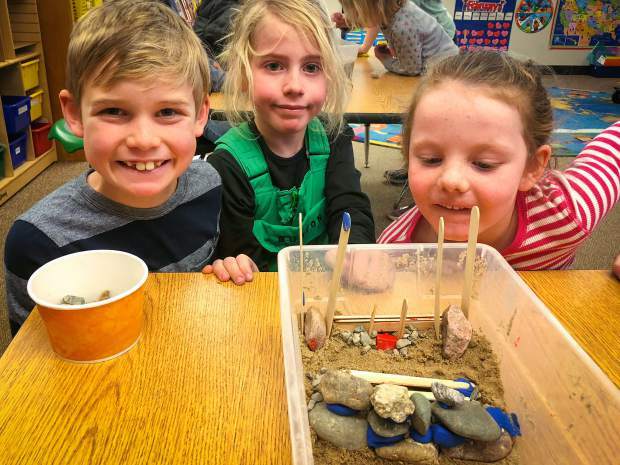 Their projects included miniature wave tanks to experiment with different ways to help slow beach erosion and protect coastal communities. 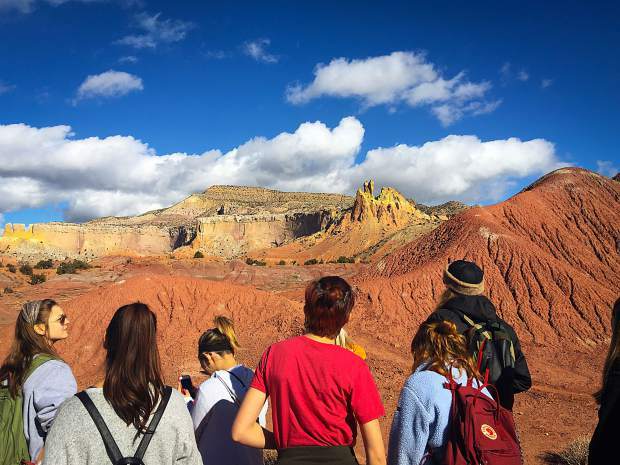 Ghost Ranch in New Mexico served as a muse for VMS Upper School students learning about the art of Georgia O’Keefe. Vail Mountain School’s Intraterm provides students with opportunities to explore the world through cultural immersion trips to locations throughout the country and around the world like China, which is pictured above, Morocco, Costa Rica, Hawaii, Mexico, New Orleans, and New Mexico. Middle School students explored the chemistry behind flavor and fragrance and learned firsthand that even palatable flavors like grapefruit or cinnamon can be overwhelming if not diluted properly. Achieving world peace has eluded mankind since the dawn of civilization, yet VMS middle school students managed to accomplish it in just two days playing John Hunter’s World Peace Game. This collaborative exercise in negotiation and problem solving prompts students to take on roles as different countries, powerbrokers, and global organizations and resolve 23 problems ranging from the World Bank getting hacked to a refugee migration crises. The game begins with the statement, “You inherit a world in crisis. It is your job to solve it.” The game is over when all problems are resolved and each country ends with more money that it began with. 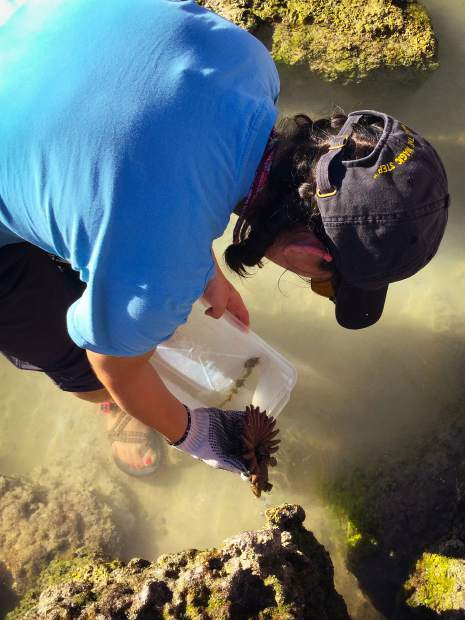 In Baja Mexico, VMS upper school students contributed to ongoing marine biology research documenting various characteristics of the tidal regions of a deserted island in the Sea of Cortez. Back at home in the Vail Mountain School MakerSpace, a group of students learned about physics, engineering, and good old fashioned mechanical problem solving by adding an electric drive assist to a full suspension mountain bike. 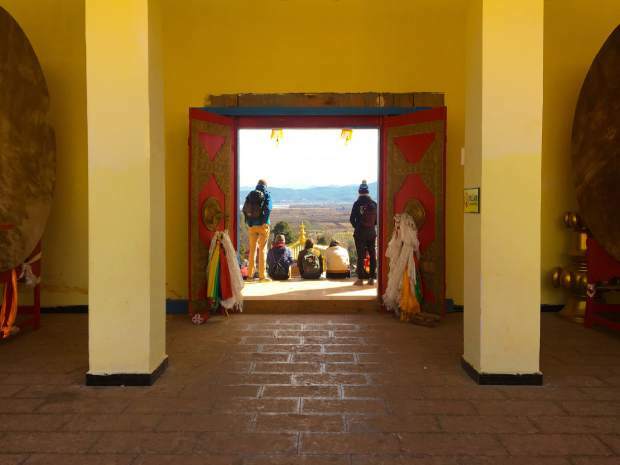 Vail Mountain School took its first-ever trip to Africa where students learned about Islamic culture in Morocco. 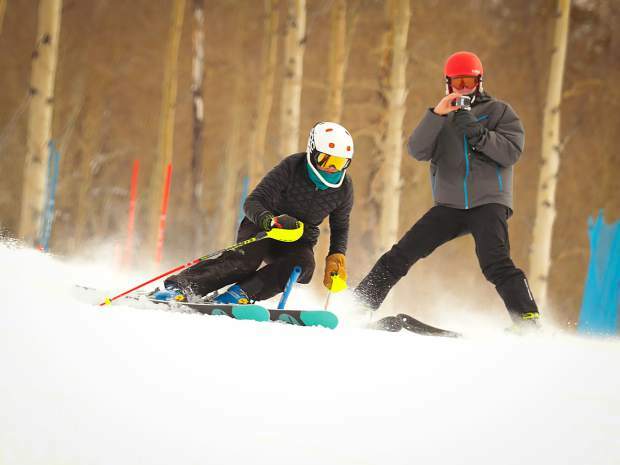 VMS Upper School ski racers worked with the Rocky Mountain Consortium for Sports Research to better understand how injuries occur and how, ultimately, to prevent them. The consortium attached an array of sensors to the athletes’ bodies that measure forces exerted while navigating a slalom racecourse. The students will work with the Consortium this spring to analyze the data and share what they’ve learned with other students at the VMS Academic Symposium in May. 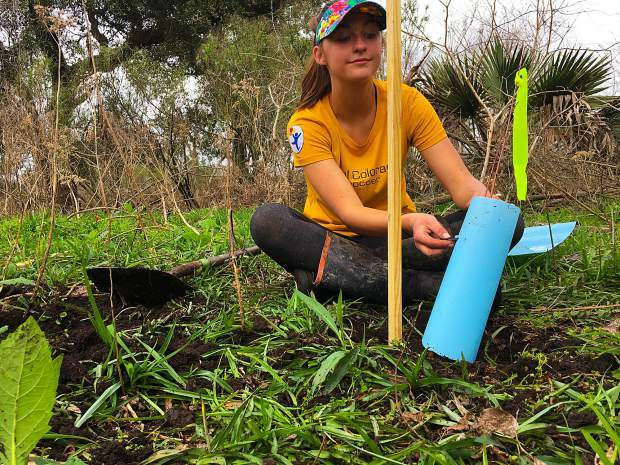 Planting sapling trees in New Orleans to help revegetate and stabilize coastal areas in New Orleans that are still recovering from the effects of Hurricane Katrina. 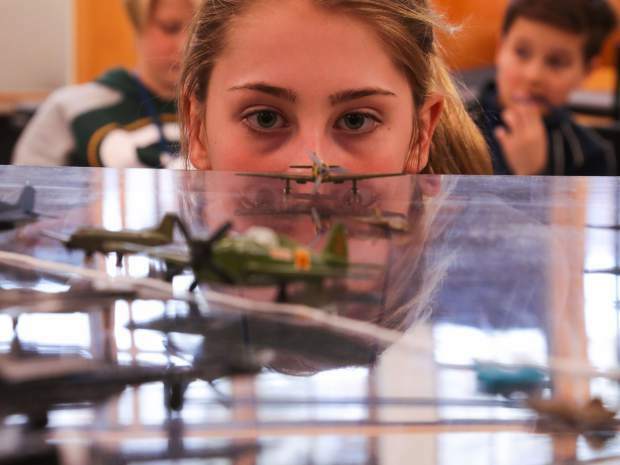 VAIL — The most profound learning often happens through hands-on experiences, when students are immersed in problem solving. This concept is the cornerstone of Vail Mountain School’s Intraterm program. Started in 2012, Intraterm is a term-between-terms — between fall and spring semesters — that offers students the chance to step outside the typical classroom and dive into a diverse range of subjects. It began as an experimental opportunity only for 10th graders, but quickly expanded to the entire VMS upper school. This year, the program grew to the entire school, kindergarten through 12th grades. “It has grown not only in numbers and grade levels, but also in breadth and depth,” said Julie Schlossinger, VMS lower school director. That breadth and depth created a variety of Intraterm opportunities, from three-day courses in classrooms and around the Vail Valley, to 10-day international immersions. Many courses use a student-centered, project-based approach, where students confront real-world problems. “We believe that any child has the potential to change the world if they can connect with and cultivate their passion,” said Kabe ErkenBrack, VMS middle school director. Among the projects: miniature wave tanks to experiment with different ways of fortifying beaches; vinegar and baking soda volcanoes to learn about plate tectonics in the Pacific; and a massive coral reef mural to gain a better understanding of these shared undersea habitats and how they are changing. 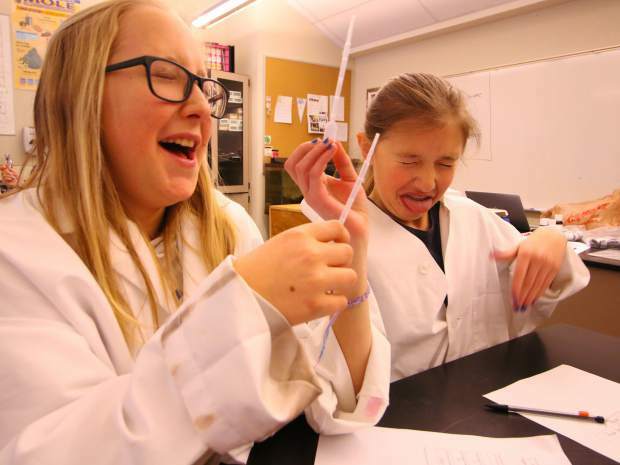 This year, middle-schoolers engaged in a three-day “flavors and fragrance” chemistry experiment. They examined the chemical reasons why things taste and smell the way they do. Others learned backcountry snow skills with the Vail Ski Patrol, and another group drove to Denver to explore perspectives through art, history and music. ErkenBrack helped facilitate the World Peace Game. Kids became leaders of different countries or world organizations and then played out real-world scenarios, such as the World Bank getting hacked or refugees moving from one country to another. “The goal is for each country to resolve their conflicts and finish with more money than they started,” ErkenBrack said. In the end, they did, solving nearly two dozen problems inspired by current global issues, ErkenBrack said. The VMS upper school offers the broadest, longest and most adventurous Intraterm opportunities, ranging from a 10-day international study of diversity, ethnicity and identity in the Yunnan province of China, to an eight-day Spanish language immersion in Costa Rica and a Hawaiian cultural and historical exploration. 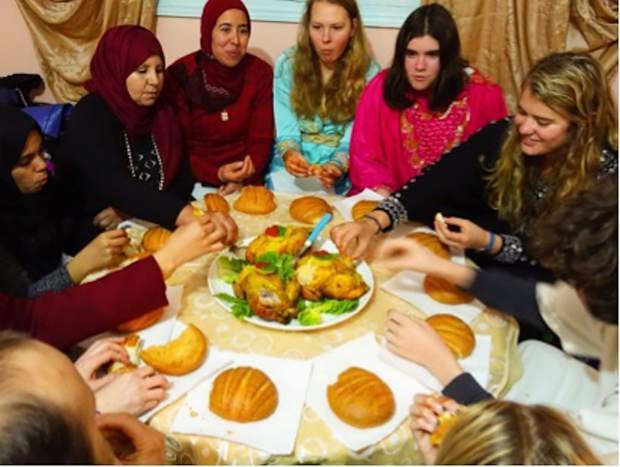 This year, upper school students also took part in the school’s first-ever trip to Africa, where they learned about Islamic culture in Morocco. Maggie Pavlik, VMS upper school director, said the courses allow teachers to watch their students grow, learn, change, relate to their peers, demonstrate curiosity and leave their comfort zones. And at the same time, the students get to see their teachers doing the same types of things. “Students return from some of these experiences with a changed view of the world and of themselves and their place in the world.” Pavlik said.